Ontario Bakery: Helpful Tips For Teachers Planning and Elementary School Graduation! 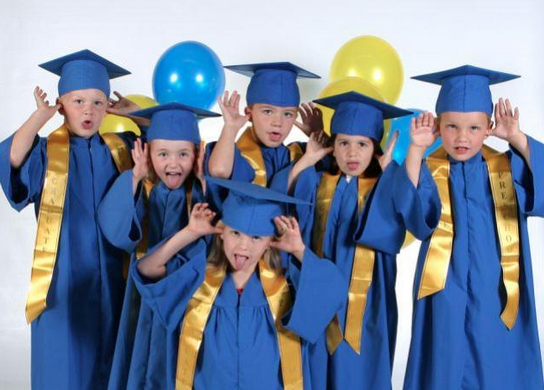 Helpful Tips For Teachers Planning and Elementary School Graduation! It's time to celebrate our children's success. They've worked hard and it's time to move up. But it can be hard to come up with creative celebration ideas. We know you have your hands full with plenty of other things. We at Ontario Bakery are happy to save you some time and energy by sharing some helpful tips for an easier graduation planning experience. I can't stress this enough, graduation is a large task to take on by yourself. Don't feel ashamed asking for help. By handing out duties to others you are far more likely to maintain your sanity! There's someone who's great at party planning, ask them to take on a few of the graduation tasks. Don't be afraid to ask, most people are happy and willing to help. Most elementary schools don't wear robes, but you can wear the school colors in other ways! One way is to wear ribbons. You can ask some of the crafty parents to help! Another idea is to incorporate the colors into some custom baked cookies or cake pops with your school colors on them! You can also wear t-shirts and keep it casual. There are many ideas. Have fun with it! This is a real time saver! You can easily print graduation certificates from multiple websites or if you're crafty and creative use Word, Pages, Publisher or any design software. You can even find some online certificate making websites! Don't be intimidated. Ask the parents to contribute their collected photos from the year or even previous years and then choose a different parent to handle creating the slide show. Then you can add the captions! At Ontario Bakery, we've often grown with your family. From the baby shower to the wedding, we love to celebrate with your children. Celebrate their next milestone with a delicious treat from us! You're proud and so are we. Call us today! Our Top 5 Ideas for High School Graduation Gifts! All You Need to Plan a Fun Pirate Birthday Party!